Thousand Pillar Temple is one of the prominent examples of Kakatiyas Architecture which is located at 6 km distance away from the railway station of Warangal. It is a part of Hanamkonda City. This temple built by Rudra Deva in 1163 AD. It built in the style of star-shaped Chalukyan temples and named after him as Sri Rudreshwara Swamy Temple. It dedicated to Lord Shiva. In the temple, separate Tombs and Monuments for Lord Vishnu and Lord Surya linked with to the main monument in the centre by a square mandap. Connecting the shrines, a beautiful sculptured giant Nandi (bull) seen on the exterior platform. The Temple’s exterior wall, the four central pillars and the ceiling slabs decorated with sculptures which finely carved. It is located on top of a hillock at a 5 Kms distance from railway station of Warangal. The Bhadrakali temple is famous for the idol of 2.7 meter stone in a sitting posture with eight arms and also a weapon in each hand. The deity worshipped in 625 A.D by Pulakesin-II, Chalukyan ruler. This temple dedicated and also worshipped to Goddess Kali where she found in her peaceful mood. It is located on the banks of Bhadrakali Lake. Along with Bhadrakali Lake, there is a park located adjacent to the temple where a monument of Lord Shiva’s form, Sri Chandra Mouleeswara. In the month of April/May, Brahmotsavas are held in a grand manner. All the devotees from all over Telangana region are attracted to this festival. Ramappa Temple is also known as Ramalingeshwara Temple is situated at Palampet Village of Venkatapur Mandal in Mulug Taluka of Warangal District. It is located at 66 Km distance from Warangal. an Ancient Temple in 1213 AD during Kakatiya Ruler Ganapati Deva by Recherla Rudra. It took 40 years to built this temple. This temple is dedicated to Lord Shiva and is built in the style of South Inidan Architecture. The temple was built in a land of 5 acres and 20 acres of garden on the sides of approach temple road. The temple compound includes two small temples on sides of the main temple. These two structures are named as kameswara and kateswara and are also dedicated to Lord Shiva. It is one of the ancient temples located in Warangal. Padmakshi Temple dedicated and is the devotion of Goddess Padmakshi. It built in the early 12th Century and has some exquisite architecture. The Pillar of Anakonda which a quadrangular pillar is located at the entrance of the structure. The celebration of Famous Bathukamma Festival is done in a grand manner once in a year with lakhs of women. 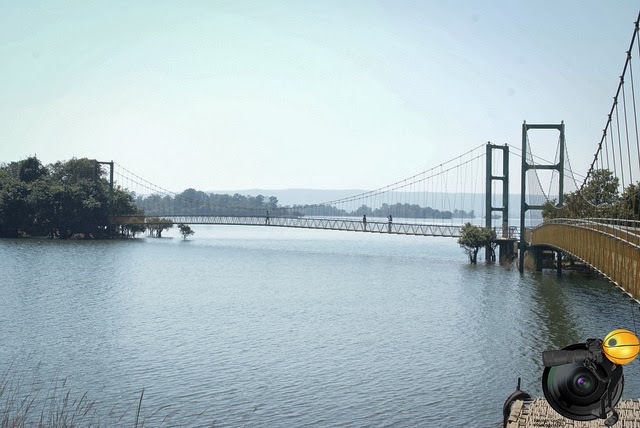 It is one of the largest and beautiful lakes located in Warangal District. It built during Kakatiyas Ruling in 13th Century and still provides water to over 50,000 acres of land for irrigation. The thick forest of Eturnagaram Sanctuary surrounds this lake. The special attraction here is the suspension bridge across the lake. Telangana Tourism provides restaurant in the middle of the lake on the island along with accommodation facilities. Post monsoon is the best place to visit and a perfect gateway to spend time with friends and also family. It is located between Chalwai and Jangalapally of Govindaraopet Mandal, Jayashankar Bhupalpally district and even 80 km from Warangal. It is located 1 km away from Ramappa Temple at a distance of 69 Kms from Warangal.the best example of irrigation during Kakatiya Rulers. It constructed by King Ganapathi Deva in 13th Century. This lake spread over an area of 82+ sq. Kms and serves water to 10,000 acres of land to irrigate. This lake looks beautiful due to its hill ranges located in the background and provides especially an eye-catching view at the time of sun-set. Here, you can also locate a AP Tourism Cottage near the lake which also serves food. There is a boating facility available with very reasonable charges. 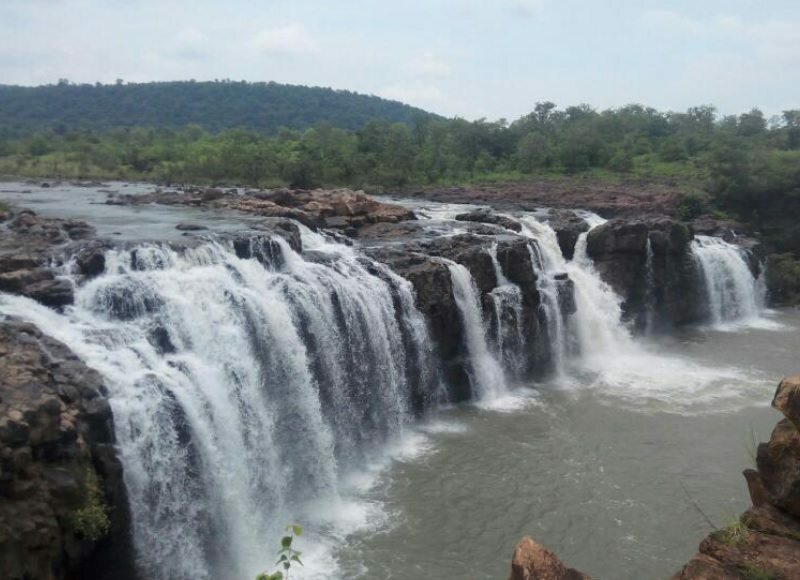 Bheemuni Paadam Waterfalls is one among the best tourist places located at Gudur in Warangal District to visit. The name Bheemuni Padam has arrived since a rock in the form of the footprint of Bheema is located there, through which there is a flow of water. During the Sunrise and Sunset, there is an Amazing Sight of water which shines in rainbow colours. The waterfalls down from 70 ft of height to the bottom. During the Monsoon season, there is a heavy flow of water. A cave beside the falls another attraction and it believed by the people to be 10 km long. There few several lakes to be visited nearby. Near the falls, there are Lord Shiva and Nagadevatha idols and where all the visitors perform poojas in a small enclosure. It located at a distance of 51 Km from Warangal, 10 km from Bus stand of Gudur. mostly visited during weekends and holidays. It is the best time to visit during Monsoon Season. Pakhal Lake a human-made lake built in the period of Kakatiya Dynasty 1213 AD by the King Ganapati Deva. It was for the purpose of serving farmland. Even today, it performs its duty serving water to the irrigation lands of approximately 3 lakh acres. To the next of this, Pakhal Wildlife Sanctuary established in 1952 by the makers of Pakhal Lake. Among the range of hills and plateau, it also offers natural heaven to the Wildlife animals. One can spot flora and fauna species near the lake in a wide range. It located 50 Km away from the city of Warangal and also spread over 30 sq. Km of the area. It is a picturesque location with green forests and also low hills. This place will surely keep you immovable and stuck with its beauty. At the shore of the Lake, a wildlife sanctuary makes it a wonderful spot for nature lovers and picnics. Fort Warangal is located at a distance of 5 kms from railway station of Warangal. This historical fort built in 12th Century by Kakatiyas. The construction of this fort started by King Rudradeva when the capital of Kakatiya density shifted from Hanamkonda. It further enlarged and extended by Ganapati Deva, by his nephew and finally finished by Rani Rudramadevi. The ruins can only be seen now since the invaders mostly destroyed it. The centre of the fort has Open Air Museum in a small area with Kakatiyas architectural remains. The famous gateway of stone, Kirti Toranas located here at a height of 30 feet and it still a masterpiece which carved from a single rock. Opposite to the Air Museum, there Shambhulingeshwara Temple which dedicated to Lord Shiva. This is an Enhanced Musical Garden located in Warangal nearby the prominent Bhadrakali temple. A massive garden and it covers 15 acres in total. A musical fountain with spectacular eye-catching colourful lights is the major attraction of this garden. Kakatiya Musical garden Background, a man-made waterfall in the structure of a rock and also a mammoth rock placed. The authorities of this garden have also made a lake for leisure activities such as boating. Every day, the musical fountains start at 7 pm.